What is the Ultimate PTO Tracker For Small Business? Managing time off shouldn’t take all your time. Finding the right PTO tracker can save your business hundreds of hours. Providing your employees the right time off tracker can improve their work experience. Happy employees mean happier customers, and that’s good for your bottom line. How Can PTO Tracking Software Help My Small Business? Tracking Paid Time Off (PTO) is a critical function of Human Resources (HR). There are often legal obligations for small businesses to track time off accruals. Employees who receive PTO as part of their HR benefits must be able to see their accruals and use them. PTO is sometimes referred to as Personal Time Off. Tracking employee time off is important for two big reasons. First, mistakes can cost money. This is the obvious problem with manual time off tracking. Errors can cost the company in extra paid time off. Time used to find and correct errors adds to the expense and takes time away from other tasks. It starts to add up. Second, employee satisfaction goes down when problems crop up that erode trust. Employees who earn PTO as compensation expect accurate time off tracking. When problems occur, employee trust suffers. Employee satisfaction is a factor of trust. Your business will see reduced customer satisfaction if employees are not happy. PTO tracker software can automate the time tracking process. Automation ensures that you are tracking accurate accruals. Cloud-based management tools can save you lots of time. What Are The Advantages Of An Automated PTO Tracker? TimeWorksPlus is PTO tracking software that automates PTO tracking. Small business managers can save a lot of time with built-in automation. Employees can experience a new level of freedom with self-service requests. Top-tier advantages include accuracy and assurance; both good for your bottom line. TimeWorksPlus is the ultimate PTO tracking software for small business. Integration with scheduling, payroll, and other HR functions add time-saving automation. Automated software preserves accuracy, so you won’t be auditing your own mistakes. Many small businesses turn to Excel spreadsheets to help them track PTO. Managers often spend extra time entering attendance data into many tracking spreadsheets. Sometimes that data comes from sticky notes. This process takes extra time and allows errors to creep into your data. Lengthy audits and embarrassing apologies often follow. It’s a time-consuming distraction that will only get worse as your business grows. TimeWorksPlus allows you to automate time and attendance collection. As employees clock in and clock out, work time accumulates. The system calculates PTO based on recorded time. Employees can track their accumulated PTO in TimeWorksPlus. This allows each employee to keep an eye on their own PTO balance in real time. Employees are also empowered to make time off requests, and managers can approve in the hub. Requesting time off is simple for employees. They know how much PTO they have accumulated, and can submit a request from a secure login. Managers can make approvals knowing PTO is available without having to double check. Managers and employees will save a lot of time with TimeWorksPlus. Forbes recently ran an article that equates happy employees to customer satisfaction. It’s no secret; when employees are happy with their job, they are more likely to impress customers. Successful managers recognize that happy employees are important to the bottom line. There are many reasons to worry about employee happiness. Turnover rates, theft justification, and workforce morale are some of the bigger reasons. Employee compensation is one of CIO’s top nine factors that affect employee happiness. CIO reports that while compensation is a concern, intrinsic factors are more so. Employees value time off when it comes to feeling good about where they work. Time off tracking is one way to make sure your employees feel like they belong. TimeWorksPlus gives employees a real-time look at their automated time tracking. They can see how many hours of time off they have accrued at any time. Employees with enough time off can make automatic requests for leave. Accurate, automated time off tracking is an easy way to save a lot of time. It’s also a great way to make sure your employees are happy, so they can make your customers happy. TimeWorksPlus includes a mobile app called TimeWorks Mobile. TimeWorks Mobile allows employees to track their PTO from any mobile device. Employees can check accrued time off from their phone or tablet. Time off requests are easy to make with TimeWorks Mobile. Employees can log in to their hub and select days off from a calendar. TimeWorks Mobile will confirm that PTO is available for the time selected. Tapping “submit” will enter the request and alert the employee’s manager. Nothing could be easier. Managers can make approvals from TimeWorks Mobile, too. Managers who are on the go, or working from remote locations don’t have to miss a step. Alerts prompt for attention and automated PTO confirmation makes approvals quick and easy. Managers can keep their workforce working, and vacationing, from anywhere. And in a lot less time than it takes to transfer PTO to a spreadsheet. Say “goodbye” to sticky notes, Excel spreadsheets, and complex processes. Give up on systems that need you to remember. If you don’t remember, you lose track fast. If you have more than a couple of employees, losing track can become a disaster. Workforce automation with TimeWorksPlus will save you a lot of time and effort. When it comes to managing PTO for your employees, you can’t afford to rely on outdated methods. TimeWorksPlus offers freedom from complex processes that risk accuracy at every step. Manual processes eat at your time and leave you running to catch up. Automation means freedom for your managers, and freedom for your employees, too. Integration is the key to building a successful small business. Small businesses that adopt automated software have a better chance at success. Growth and scalability thrive with automation. 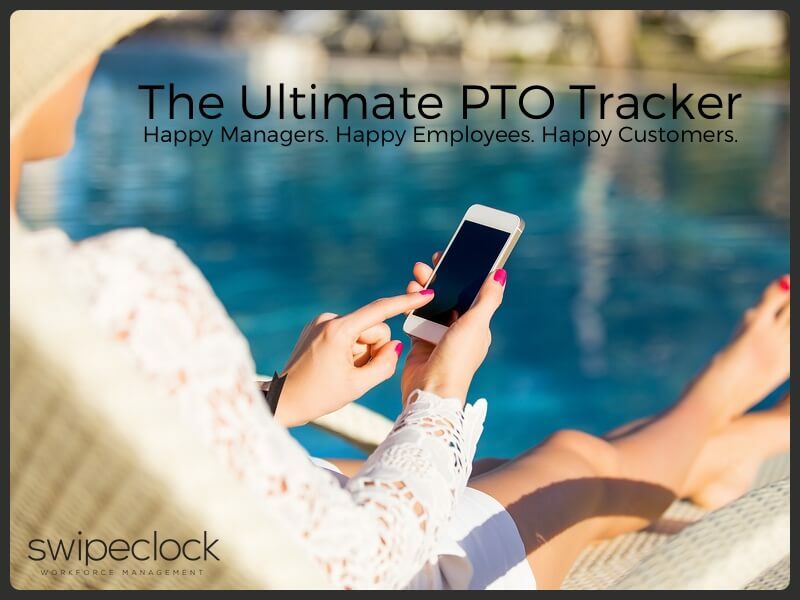 Your time and attendance software should be managing your PTO tracker for you. TimeWorksPlus offers integrated time and attendance with built-in time off tracking. Automate your workflow, save time, and add accuracy to your process. TimeWorksPlus is a cloud-based software solution that tracks PTO in real time. It’s easy to set up and even easier to manage. Accurate reporting, automated time tracking, and employee self-service improve employee engagement. Empower your employees to help manage and track their own PTO with mobile access. All these integrated features come in TimeWorksPlus. Integration with payroll adds even more accuracy and time savings. PTO tracker software shouldn’t be complex. Tracking PTO is best when it is already built into your time and attendance system. TimeWorksPlus is the ultimate combination of time and attendance and PTO tracking. Integrated time and attendance with a built-in PTO tracker offers significant time savings. Accuracy improves employee confidence and assures that problems don’t crop up later. “How do I integrate time off tracking?” is the ultimate question for every small business. TimeWorksPlus is the ultimate solution. Install TimeWorksPlus today and experience an automated PTO tracker. Your employees will be happier and your customers will thank you for it.